With ridesharing becoming an extremely popular option for travel these days, the prevalent notion is that working as a driver for ridesharing companies like Uber is a lucrative option. And, if you want to be your own boss, work the hours you want and at the same time earn money, then driving for Uber can be a good option. However, before you actually sign up as an Uber driver, it is a good idea to understand how much you can earn. According to Uber, its drivers can earn up to $25 per hour, earn a good bonus on signing up, and have a flexible work schedule. These claims by Uber have led to a 69% increase in earnings by its drivers in the years between 2010 to 2014, which rose to around 63% in the year 2015 alone. How Much Can Uber Drivers Earn? As an Uber driver, the more you drive, the more you can earn. The earnings you make are received weekly and the money is deposited into your bank account directly. Uber also has an option of Instant Pay that allows you to get your payment even faster. You can also transfer your earnings to your debit card account anytime with Instant Pay. Let us understand in detail, how you can drive with Uber and earn. What are the expenses of the Uber driver? When you pick up a passenger and take them to their destination, at the end of the trip, the passenger is charged a fare. It is essentially calculated on how far the rider traveled and the time taken to complete the trip, i.e. Fare = Time x Distance. The base fare is a fixed amount for every trip. This is also a fixed amount and covers costs such as driver-related expenses incurred by Uber for the booking, driver background checks, etc. The base fare and rider/booking fees usually vary from one city to another and also on the type of vehicle the rider requests. Sometimes, there are not many cars available to cater to the number of people requesting rides. This issue especially occurs in the case of rush hour, special events, and bad weather, where there may be a huge number of people wanting an Uber ride, all at the same time. When the demand for rides is very high, the fares of the ride may increase to ensure that a ride is available for those who really need it. Surge pricing ensures that the pickups are available reliably and quickly. And surge pricing means continuous ride requests and higher fares for drivers. Surge pricing occurs when there is an increase in the price during the times when there are several ride requests in specific areas. The Uber app displays the areas that are having high demand in red, and a deeper shade of red indicates greater demand in the particular area. Whenever the rates are raised because of surge pricing, the passengers are alerted in the app. While some passengers may choose to pay the surge, others may wait until the rates revert to normal before booking a ride. Surge pricing is usually calculated by the total fare of the trip multiplied by the surge multiplier applicable at the particular time. For instance, if you accept a fare with a surge multiplier of 1.5x, then the surge multiplier is applicable to the base, distance, and time fares of the trip. To this, the surge pricing is applied i.e. This amounts to approximately $8, while according to the Uber Fare Estimator, the amount is around $12 – $14. However, the Uber driver does not keep all the money; 20% of the final fare is retained by Uber, so the Uber driver will earn around $10.24 for the 15-minute ride. However, again, this is not the total payout of the drivers as they incur expenses too that must be considered. Insurance: Insurance includes both personal insurance, as well as a commercial or a rideshare insurance policy. Car or Lease Payments: This is the payment made by the driver to drive the vehicle, which is either self-owned or leased from Uber or a third-party vendor. Licenses, Tolls, Permit Fees: The Uber driver must pay all these fees, and when the drivers have to pay toll fees, a surcharge is added to the passenger fare. Gas: As the Uber drivers are independent contractors, the gas costs must be borne by them and is not reimbursed by Uber. Vehicle Maintenance Costs: The Uber drivers are responsible for the upkeep and maintenance of their cars; however, if the vehicle is damaged by the passenger, then the driver will be reimbursed by Uber. The kind of expenses incurred by the Uber driver depends on the type of car you are driving, the city you are driving in, your driving record, etc. As a general rule of thumb, around 20% of the rideshare amount should be budgeted for expenses. 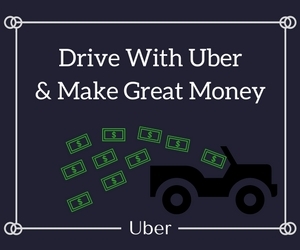 Finally, the amount Uber drivers make in terms of earnings is calculated after deducting the amount which is retained by Uber and taking into consideration the various expenses. While the drivers are responsible for covering their own expenses, Uber offers each driver an insurance policy that has a $1 million coverage for each accident. $1 million for third-party liability. $1 million of uninsured/underinsured motorist injury. Comprehensive and Collision Insurance: If you have a collision and comprehensive insurance on your personal policy, Uber’s insurance policy will cover any physical damage to the vehicle up to the vehicle’s actual cash value. How Do Uber Drivers Pay Taxes? An Uber driver essentially works as an independent contractor. Since the business is your own, the federal or state government does not withhold the taxes from your earnings, which means that the onus of filing your taxes at the end of every year lies with you. If as an Uber driver, you earn more than $600 using the Uber app in a year, then Uber sends you a 1099 form by January, making use of your tax and bank information. Uber has also added a new feature to their dashboard that gives every Uber partner access to all their tax-related documents, and each partner gets a tax summary from Uber with a link to the form 1099. A job as an Uber driver is ideal if you’re looking for part-time, temporary, or seasonal work. It can also be a flexible full-time job opportunity if you want. If you already have a full-time job and are considering driving for Uber as a side hustle, it is a great way to work a few hours, maybe on the weekends or at night to save money for a vacation, school, or for a gift. A study reveals that around 80% of Uber drivers drive for fewer than 35 hours a week across the 20 largest Uber markets and more than 50% of the drivers only drive around 1-15 hours in a week. Handing out water, mints or candy during the ride. This is a small gesture that can earn plenty of appreciation from your passengers. Always be professional and friendly, as being likable can earn you more tips. Never be rude, arrogant and impolite, as this leaves a very bad impression and also will get you bad ratings. As an Uber driver, another great way to earn more money, which is extremely lucrative but underutilized, is the Uber Referral Program. Uber offers its existing drivers a great chance through which you can earn $5 per passenger that you refer to the Uber app. For each Uber driver you refer, you can make hundreds of dollars. You can encourage your friends to join. You can pass out referral cards at social gatherings such as parties, meetups, at the bar, etc. You can be the key person responsible for signing up Uber drivers in your particular area or network. It may be a good idea to drive for another ridesharing company such as Lyft. Several drivers do this, as they find that one company may offer better rates than the other. Familiarize yourself with the peak hours as you can earn the most per hour during this time, especially because surge pricing comes into play at times such as peak office hours, sporting events, trade shows, conventions, festivals, holidays, etc. Driving just for Uber full time may not be sufficient as your main source of income. However, being a driver for Uber is a great side hustle that can earn you some extra cash. Joining a Facebook group for Uber drivers can help you get information on when and where you can earn the most money. Get to know your area very well, as being efficient and knowing your way around can help you make more money. Keep the interiors and the exteriors of your vehicle clean at all times, which makes a good impression on passengers, who will tip you better. While being an Uber driver offers a lot of flexibility as you can make up your own schedule, staying healthy and avoiding exhaustion is your responsibility. To be an Uber driver, you must be a “people person” as usually the riders rate their driver experience and being angry or unfriendly can affect your ratings negatively. That rating, in turn, will affect your demand with riders, as Uber incentivizes drivers with higher ratings. Finally, as we have seen, Uber is an extremely popular way to make money as a driver. Uber has given thousands of people all over the world a wonderful opportunity to earn money in a flexible way, on their own terms. Uber not only allows you to work at your regular job, it also allows you to earn extra cash on the side. And, if you want to become a full-time Uber driver, you have an option of doing that, too. When you sign up to drive with Uber, you can be your own boss and run it like your own business. And, most importantly, by thinking out of the box, you can achieve almost anything, even ways and means to give a significant boost to your earnings.